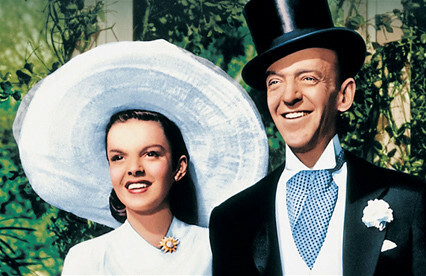 We're celebrating spring with one of MGM's best musicals, Easter Parade (1948), starring Judy Garland and Fred Astaire. Easter Parade is one of the most beloved of MGM musicals, featuring lovely songs by Irving Berlin and the only screen pairing of Judy Garland and Fred Astaire. Ann Miller and friends perform Shakin' the Blues Away in Easter Parade (1948). The idea for Easter Parade came from Berlin. Blue Skies, a 1946 musical that featured a selection of Berlin's songs was a big hit for Paramount. Berlin, who wrote more than 1,500 songs in his 60 year career, decided that he had plenty of material for another box-office bonanza. 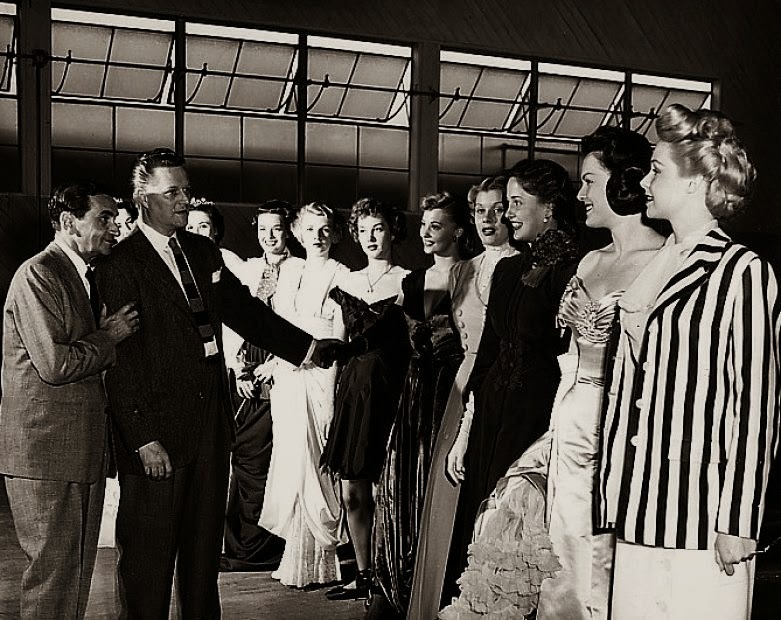 He hired married screenwriting team Frances Goodrich and Albert Hackett (It's a Wonderful Life, The Thin Man) to craft a script based on Berlin's own early days in vaudeville (Freed and director Charles Walters later hired Sidney Sheldon to inject more humor in the screenplay. They felt Goodrich and Hackett's original version was too cynical). MGM producer Arthur Freed quickly snapped up Berlin's offer. The Freed production unit had been churning out successful musicals since Babes in Arms (1939), and Freed saw great potential for a musical starring MGM's No. 1 star, Judy Garland. Judy Garland makes a funny face in Easter Parade (1948). Easter Parade went through several changes before the film made it to the screen. Freed originally cast Gene Kelly for the lead role of Don Hewes. Kelly and Garland had great chemistry in his film debut, For Me and My Gal (1942), and Kelly was a rising star after appearing in Anchors Aweigh (1945) and Ziegfeld Follies (1946). 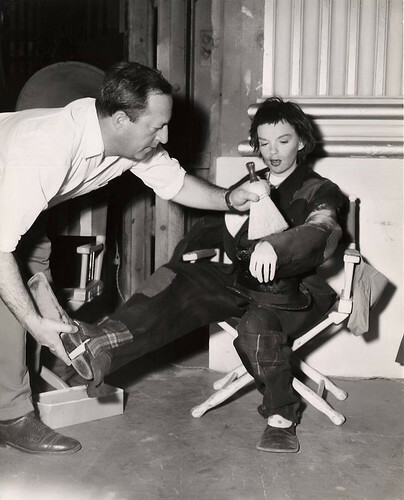 Kelly broke his ankle playing touch football before Easter Parade began shooting and he had to reluctantly drop out (Kelly told everyone his injury occurred while rehearsing a dance number because he didn't want to face the wrath of the studio). Freed knew he needed an experienced dancer and a star in the Hewes role so Freed approached Fred Astaire, who had retired two years earlier after making Blue Skies with Berlin. Astaire was reportedly so delighted to be done with the grueling demands of shooting intricate dance numbers that on his last day at work he threw his toupee on the floor and danced on it. Astaire reluctantly agreed to appear in Easter Parade, partially because he admired Judy Garland and partially because Kelly called him and urged him to take the part. Judy Garland gets brushed off during the A Couple of Swells number in Easter Parade (1948). 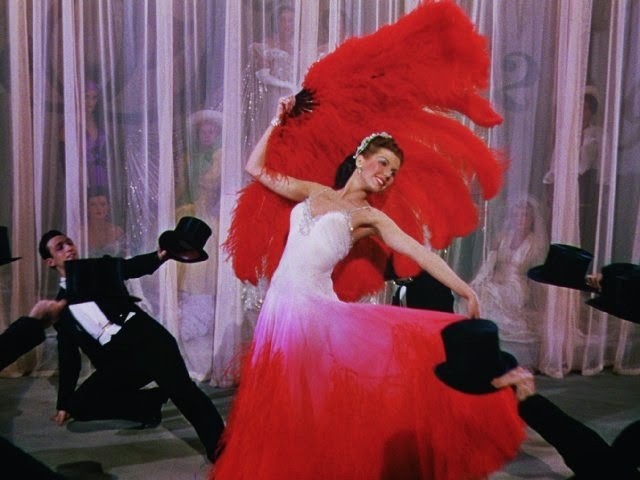 Next, up-and-coming dancer Cyd Charisse, who was scheduled to play Hewes dance partner, broke her leg, so she was replaced with Ann Miller who made the most of the plum part. Finally, the director was changed. Freed replaced Vincente Minnelli with Charles Walters because Minnelli and Garland were going through a rough patch in their marriage. Irving Berlin and choreographer Robert Alton audition dancers for Easter Parade (1948). Easter Parade was a joy to film for everyone concerned. Garland loved working with Astaire, especially on the A Couple of Swells number and Astaire regained his love of dance, creating one of his most memorable numbers for Steppin' Out with My Baby. It was MGM's highest grossing film of 1948, and Easter Parade continues to be popular because it's one of the few secular Easter movies around, and because it is a joy to watch such unbelievable talents have so much fun. Easter Parade is available on DVD and video on demand.